The storming of the beaches at Normandy. It's arguably one of the most important days in world history. Certainly, the entire outcome of WWII could be in question if that invasion hadn't gone the way it did. As such, every aspect of it has been picked over time and again, both by experts and those that are amateur historians. Gamers also love to pour over every detail, looking at "what if" scenarios. 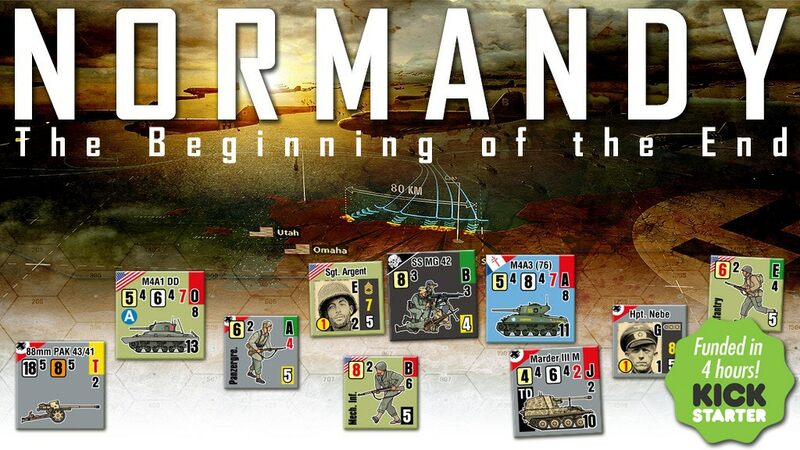 You can do that sort of thing with Normandy: The Beginning of the End, a new tactical war game that's part of the War Storm Series of games. It's up on Kickstarter now.